Celebrate Independence Day with some little-known American history! Happy (almost) Independence Day! What are all the fireworks and celebrations about? 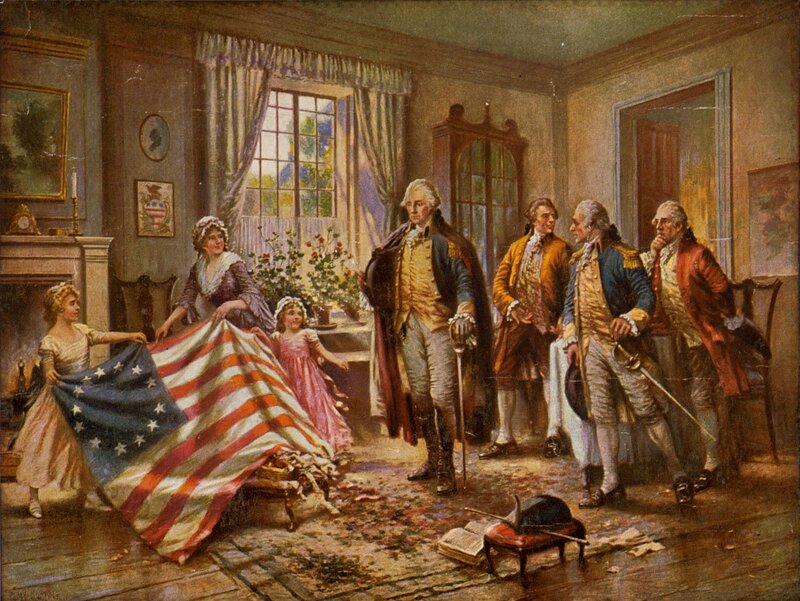 Most Americans know that July 4, 1776 is the day that the thirteen original American colonies declared their independence from the Kingdom of Great Britain by approving and adopting the Declaration of Independence. However, most Americans might not know some of the fascinating facts leading up to the day that The United States of America was born. 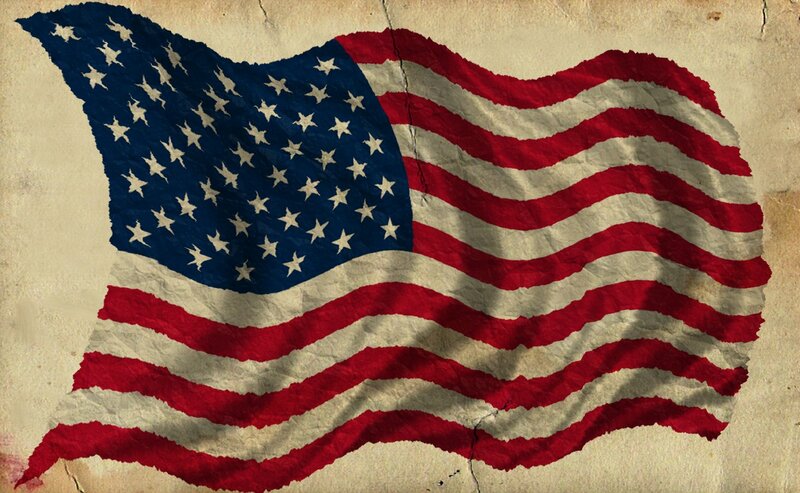 Even though America declared itself an independent nation on July 4, 1776, the Revolutionary War was far from over. In fact, the war would not officially end until the Treaty of Paris was signed on September 3, 1783, seven years later. This was the day in history that American sovereignty and independence was officially procured. It’s also interesting to note that without the financial and military support of France, the American colonies would likely not have been able to overcome the British military (especially the superior British Navy), which was considered the greatest military power in the history of the world during its heyday. Another interesting historical footnote surrounding July 4: both John Adams and Thomas Jefferson, both signers of the Declaration of Independence and early Presidents of the United States, died on the same day: July 4, 1826. This date was the 50th anniversary of the Declaration of Independence. As you might have guessed, we love boats. However, if we’d been passengers on the Mayflower, we might not feel the same way. Who was on the Mayflower and why did they want to come to the “New World”? The passengers on the Mayflower were English Separatists (who called themselves “Saints”). They viewed both the Church of England and the Catholic Church as corrupt and idolatrous. They’d originally tried to make a new home in Holland, which offered complete religious freedom, but the other secular freedoms that the people of Holland enjoyed proved too much of a temptation for many of their adherents, especially their children. So, the Saints set their eyes on a new land without worldly distractions or a government-mandated religion. The New World would be their new home. They pooled their resources and paid for two merchant ships to take them there: the Mayflower and the Speedwell. They received permission from the Virginia Company to establish a settlement on the east coast, between modern day Chesapeake Bay and the Hudson River. Lastly, the King of England granted them permission to leave the Church of England, so long as they promised to carry themselves “peaceably,” e.g. not make any trouble for the crown. 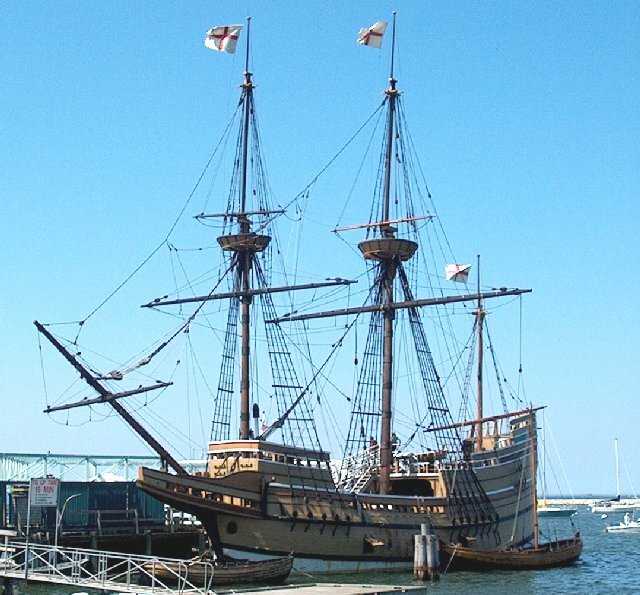 The Mayflower embarked from London, England in mid July, 1620 and was to meet up with the Speedwell shortly thereafter. However, the Speedwell was weeks late, and, upon arrival, soon began springing “leaks” which caused it to abandon the voyage before ever leaving British waters (many historians think the Speedwell’s captain caused the leaks since he had no interest in risking death or starvation on such a perilous journey across the Atlantic). Finally, after another month’s delay due to unfriendly winds, the Mayflower departed on its solo journey to the New World. With many of the Speedwell’s passengers now aboard, the Mayflower was even more crowded with people and belongings than originally planned. To make matters worse, the passengers had been at sea for a month and a half before the true voyage had yet to begin! Imagine 150 people and their belongings (102 passengers and 50 crewmen) plus dogs, sheep, goats, poultry, various weapons and cooking items, all crammed into a 100′ long cargo ship (the Mayflower was designed as a merchant ship, not a passenger vessel)! The Mayflower’s voyage across the Atlantic was not an easy one. She endured several severe Atlantic storms and had two passengers die en route. Finally, after nearly four exhausting months at sea, the crew spotted land on what is now Cape Cod in Massachusetts, just as the sun rose on the morning of November 9, 1620. This was hardly the end of the passengers’ troubles, however. As they tried to weather the brutally cold winter aboard the Mayflower, over half of the passengers would die from either scurvy, pneumonia or tuberculosis. Several mutinies were suppressed and everyone would have likely starved to death were it not for the corn and beans supplied by the native populations on shore. Despite this incredible hardship, the survivors endured and established the Plymouth Colony. The New World would be forever changed thereafter. *Next time your kids complain about being crammed in the back of your air conditioned car on a family road trip for a few hours, tell them the story of the Mayflower and its passengers. Better yet, go on a family vacation to Charleston, SC to visit The Adventure, a 100′ long 17th century replica, that will give your family a hands-on sense of what it was like to be aboard a ship like the Mayflower. “In 1492 Columbus sailed the ocean blue.” Remember learning that line when you were a kid? Despite the fact that there were already tens of millions of people living in the “New World” when Christopher Columbus first arrived, he is the European explorer credited with discovering the New World in the history books. This discovery set off wave after wave of European explorers, conquistadors and settlers, eventually reshaping the entire North, Central and South American continents into their present-day political borders. However, many people don’t know that Columbus’ initial voyage very nearly ended in failure! Having been at sea far longer than anticipated without spotting land, Columbus’ crew was terrified and on the verge of mutiny. They wanted to turn back and go home rather than continue traveling in unknown waters towards an equally unknown destination (which seemed more likely to be certain death as each day passed). To pacify their growing fears, Columbus had been keeping two travel logs: one measuring the true distance they’d travelled from Spain and the other amended to show a much smaller distance (this was the log he shared with his crew). 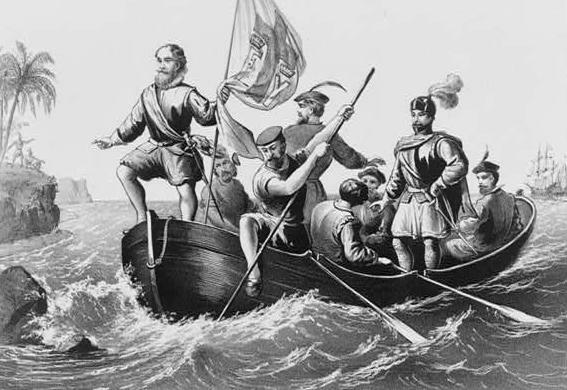 This ruse kept the peace for a while, but after many additional weeks without sight of land, a mutiny nearly occurred on October 10, 1492. To quell this uprising, Columbus promised his crew that if land was not spotted within two days, they would turn back for Spain. Also, Columbus promised that the first crewman to spot land would be given a handsome monetary reward: a silk doublet (clothing that only the wealthy could afford at the time) plus 10,000 maravedis (Spanish coins made of precious metal). Ironically, Columbus believed he had discovered a new, shorter passage to Asia and India, not an entirely new continent. He went to his death years later still believing this to be true. That’s why the Native Americans (who had actually discovered the Americas many thousands of years before Columbus) came to be known as “Indians,” a term we still use 500 years later! American history is a wonderful tale of adventure, bravery and conquest. This July 4, we hope you and your family will take a moment to reflect on the many men and women throughout history who fought through enormous hardship to help make America the country that it is today. From Columbus, to the Mayflower passengers to the Founding Fathers and the American Declaration of Independence, America has a rich and fascinating history. We have a duty to remember how our nation came to be and to ensure that this great nation—our legacy—continues on after we have gone. From our family to yours, happy Fourth of July!